2018 • USA • 60 min. Delve into New England’s horror culture, where a rich storytelling tradition echoes through its tenacious contemporary voices. The rich tapestry of New England horror is woven from the folk tales of early settlers, the Gothic tradition, and the heart-stopping lore of iconic authors H.P. Lovecraft and Stephen King. Most who’ve experienced it agree that there’s an indescribable quality affixed to the region, eerily suited to inciting strange creative urges. Something Wicked This Way Comes is a project that includes a series of short films that chronicle New England’s creepy atmosphere, profile a handful of today’s artists in their attempts to carry on that legacy, and document the decision to pursue a horror film career locally. Appearing throughout the first two films are words with emerging and established talent like Brad Anderson (Session 9, The Machinist), Nick Principe (Chromeskull from Laid to Rest), Izzy Lee (Rites of Vengeance, My Monster), and David Gregory (Plague Town), among others who share their own tales stemming from humble New England roots. 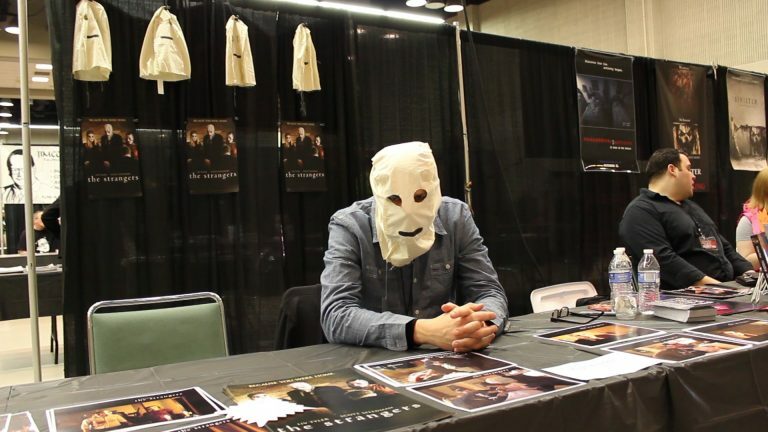 The third film focuses on actor Kip Weeks who appeared as a fearsome masked intruder in the unrelenting home invasion chiller The Strangers (2008). He’s since moved from LA to Maine, and with a burgeoning home business and increasing family needs, Weeks is compelled to evaluate his life where artistic passion collides with economic pragmatism. Despite these challenges, he continues to try and balance his myriad responsibilities with excursions on the horror convention circuit and tackling occasional independent film roles while on a mission to resurrect his film career. Something Wicked This Way Comes was a labor-of-love for the team behind Wicked Bird Media, a flourishing New England-based production company. The film is a testament to a dedicated group of women who, despite their own shifting lives, persevered to complete a dream project. The result is a celebratory look at horror that puts a spotlight on its steadfast subjects and the spooky place they call home. Izzy Lee, USA, 7 min. Fed up with her partner’s macho posturing, a woman relies on her own resolve to tame a savage beast.